American Academy of Gymnastics has competitive programs for all kinds. Our girls team program has over 100 athletes of all ages. We have a Rockets program, which is our pre-team for ages 4 1/2 to 6 years old. Our Junior Olympic program has gymnasts in levels 2 through 10. We also have an Excel program, which is for the athlete that would like to have time for other sports and activities while still having the opportunity to compete. American Academy has proudly won several state, regional and national titles! There are a few ways to get involved with our girls competitive program. The American coaches staff will hold an Excel and Team evaluation April 18th, 2018 for all ages. Our coaching staff also recruits gymnasts during Springfest, which is our annual recreational show, June 8, 9 and 10th. Throughout our season, we will post about other possible tryouts to fill up our teams, so be on the lookout for those! If you feel your daughter would thrive in a competitive atmosphere, please contact our Head Coach- Vanessa Atler at atler@aksc.com and we will have one of our trained staff give your child a free evaluation! Size matters. 40,000 sq./ft. of equipment means more repetitions & efficient practices. We have pits, tumble, tracks, and trampolines to create the safest environment possible for high level gymnastics. Our gymnasts have won many state and regional titles. We also are home to a National champion, Keanna Abraham, who is the second person in Bakersfield to hold this title. The sky is the limit for our athletes! Vanessa, beyond coaching our Optional Gymnasts, manages and coordinates the entire Girls Team Program, as well as being AKSC's Gymnastics Director. She has also has written a children's book published by USAG that encourages a positive competition experience in gymnastics. She runs a team staff that is incredibly versatile and knowledgeable, with each bringing something unique to the table. Many were past athletes of American Academy and have won national titles in gymnastics. Vanessa Atler was the 2nd gymnast in the U.S. to win back to back national titles. She was 1996 U.S. National Champion and 1997 Senior National Champion.She also was the 1998 Goodwill Games gold medalist on the floor exercise and vault. At the 1999 American Cup, Atler became the first female gymnast to successfully perform a Rudi vault. Vanessa became a coach a couple of years after her retirement. Her main goal in coaching is to develop, strong and confident women. 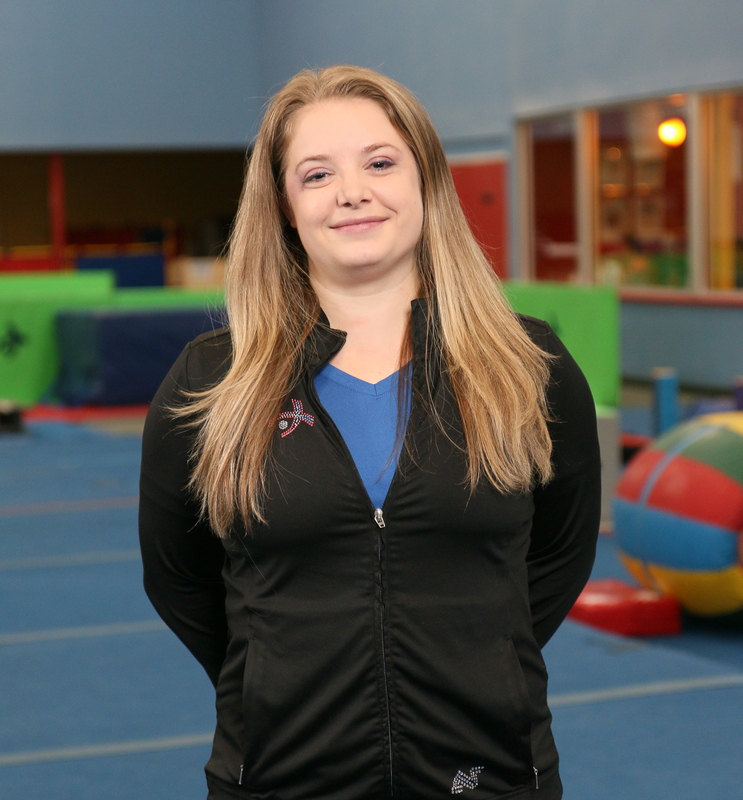 She believes the life lessons learned in competitive gymnastics can create an athlete who is sure of herself, responsible, hard working and passionate. 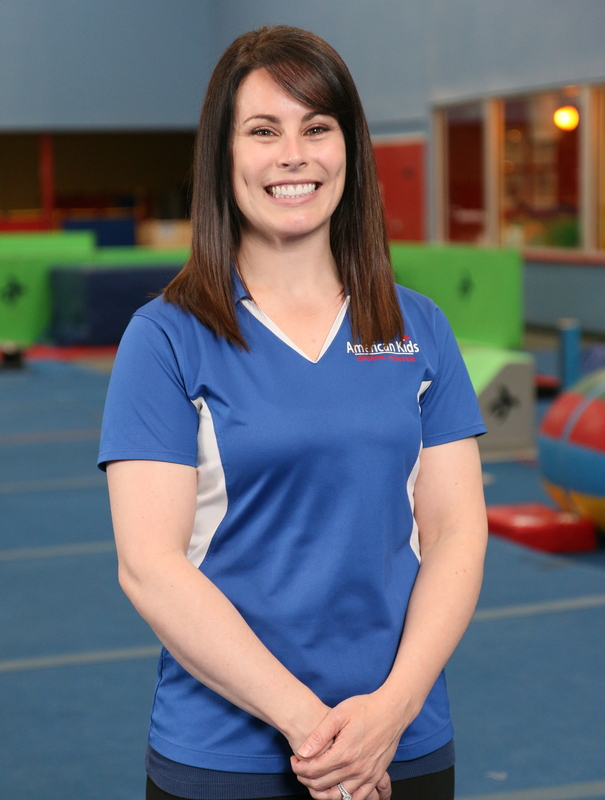 She has now been the head coach of American Academy of Gymnastics for 5 years and loves that she shares the same values as American Kids Sports Center! Bill works with our Optional Gymnasts to perfect bar and vault skills. Bill comes to us from Southern California, and has many years of experience in training athletes for Region 1 competition. Melanie works with level 6 Optional Gymnasts and our Level 5 Compulsory Gymnasts. She is an AAOG former gymnast as well! This is a home grown girl with a passion for gymnastics and training athletes to reach for their goals.